I have received MANY inquires about the now famous coupon binder that was seen in the Rachael Ray segment. I used to house my coupons in an accordian folder. I had it divided into several categories like food, household products, toilletry items, organic products, child items, as well as separate folders of specific store coupons. 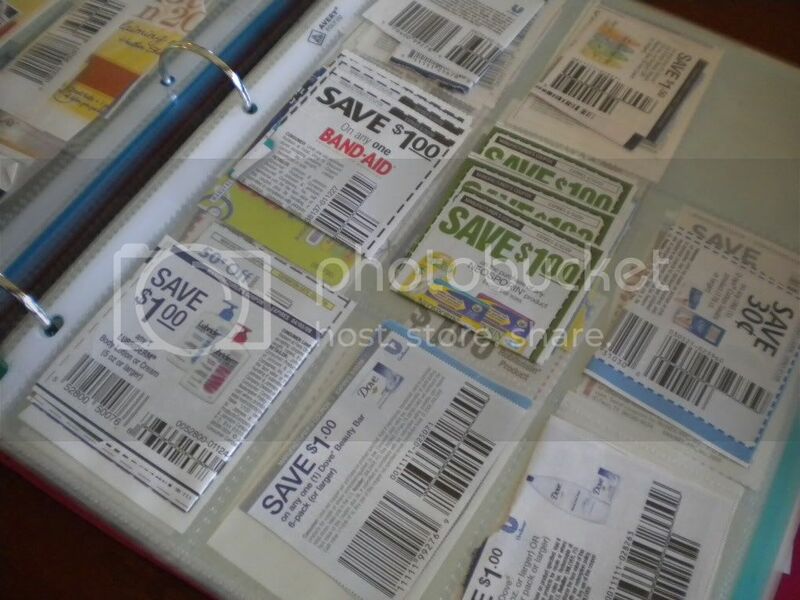 I got tired of leafing through the mound of coupons in each category looking for the ones I wanted, so I switched to the coupon binder system. In the front of the binder I keep all of the “must use” coupons. For all my favorite products! The rest of the binder is filled with “baseball card inserts.” I put coupons of similar category on each sheet. I have organized it into sections with dividers. I have similar categories/sections as my old accordian binder. If you wanna get “super Type A,” you could arrange the sections in order of where you would find the products in the store. I generally pull out my coupons before I go to the store. But I do carry it with me in case I need to quickly flip through to find a coupon for an unadvertised sale item. A few questions I get asked all the time. Is clipping coupons worth it? Well, you saw in the segment that I saved $73! So yes, it’s worth it! I never see coupons for the products I buy? Yum, who doesn’t buy toothpaste. Or deodorant! Or mustard!!! True, you might have to be a little more flexible and not too brand picky! Let’s take that mustard coupon for example. I clip it because I might use it. I will hold onto it until the mustard goes on sale for $1. My store will double coupons, so I will end up paying $.40 for a bottle of mustard that originally cost $2.19. Yes, please! Where did you find the baseball card inserts? Walmart. In the front section by the baseball cards. Can also be found at baseball card shops. How long did it take me to put this together? However long the commercial breaks are during 24! So…15-20 minutes. How do you then keep it organized and cleaned up? Each week I add new coupons to the pages. Each month when all the new coupons and electronic coupons come out (stay tuned for a post on May 1 with all the details! ), I go through and pull out expired coupons. Are there any disadvantages to this system? Yes. Sometimes the coupons don’t fit well into the baseball card holders. I try to fold them so I can see the exp. date, product name and coupon amount. Solution to this: Look for some scrapbooking inserts that have different size photo slots. Thanks for posting this! Right now I have a small accordian file organized with my coupons and have them in diff. sections and in order of where they are in the store, but I’ve been thinking about going to a binder. Also, just wanted to say I love 24!! The accordian holders make me craaazy….I was thrilled to see your coupon binder. Picking up the inserts today! Thank you!! Good job on RR. 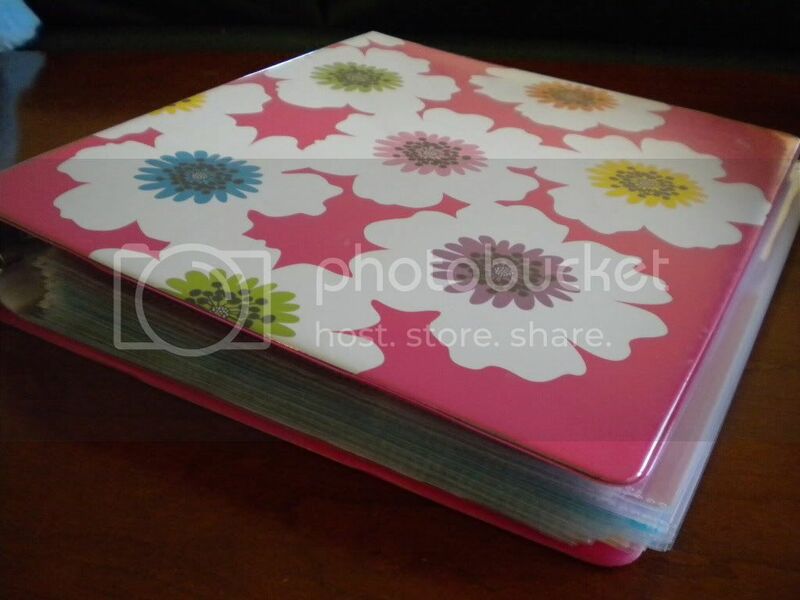 I really like the binder idea. My question is “Do you take the binder when you shop?” I have a small accordion envelope that slips into my purse for those just in case I see something on sale and I have a coupon for it moments. Yesterday, for double coupon day TP was on sale but wasn’t advertised. Thankfully, I had my $1 off coupon that could be doubled. I haven’t been so great with couponing. I homeschool my children as well as take care of a 7 story building. I desperately want to save money!. It KILLS me that I always spend more than I should at supermarkets and walmart. WHERE DO YOU GET ALL THOSE COUPONS FROM…..I get some from online but that wears down the printing ink. I don’t mind clipping coupons but do I have to buy 4 newpapers? I have seen that the newspapers normally carry the same type of coupons and there aren’t many variations. HOW CAN I GET MORE PRINTED COUPONS??? HELP..
You can actually buy them on ebay. This is what most BUSY moms or BUSY business people do. I know this sounds strange. BUT you buy them on ebay for a couple bucks and can get an assortment of 100 or even 200 coupons. Thats ALOT of coupons and someone is doing all the work of Finding the coupons, clipping them, and organizing them for you so you dont have to do it and spending a few bucks to save a couple hundred is still amazing! 🙂 Goodluck! my husband made me get rid of the accordian folder when the coupons spilled all over the floor at the store. okay so it was a little full. I now use a big cd case. It will zip close so I don’t lose anything when I am in a hurry to get out of the store. I love your blog and was so happy to see you on RR! I think it’s awesome when regular SAHM get recognition for the great things they are doing – it’s much more interesting to me than any celebrity! Anyway, I have a question about your binder. I currently use an accordian file for my q’s, and I do agree it is a pain to leaf through all of the q’s to find the one I am looking for. So, do you only put 1 coupon per “slot” in the baseball card holder?? If you put more than one q in each slot, how do you know what is underneath, because you can only see the top q as you flip through? It just seems like I have SO many different q’s at any given time that it would take SO many pages of baseball card holders. I just can’t really quite picture that. I hope you understand what I’m asking – I would really like to see if this system could work better for me than my current one! For those who keep asking, some stores double or triple coupons based on the value listed on the front. My stores, Kroger and Albertson’s both triple coupons up to $.39 and double coupons up to $.50. So, this week when Angel Soft TP was on sale for $.99 and I had a coupon for $.50 off, the tp was free because the store doubled the value of the coupon. Now here are my coupon questions- if a coupon requires you purchase two of an item-is it okay to use two coupons when you are just getting two products? A common example is the Yoplait $.40 off of 6. Since my store doubles the coupon, could I use 3 coupons to get my Yoplait mostly free? Next question, my store says they will double up to 3 and triple up to 3 coupons in one order. Do you guys think the computer does this automatically or is it just something they can impose if they choose to? I always considered myself a couponer before, but never at this level. Could use some help to maximize my family’s savings now that we are a one income family. Thanks! Elizabeth, you wouldn’t be able to use more than one coupon for the multiple item savings unless it was a combo of manufacturer’s coupons and store coupons. Most stores allow you to do what they call “coupon stacking”. That’s where you use the printed coupons that usually come in inserts or off of the internet, combined with a store coupon that comes out of their ads or the Catalina machine. When a coupon says you must buy 6 Yoplaits to recieve 40 cents off, you can’t use another of the same coupon, because each item is covered by the first coupon. But if you can find the item on sale, you can get a store coupon to combine with it, and your store doubles coupons, typically you can get the Yoplaits for incredibly cheap that way. Thanks for sharing your “famous” couponing system. 🙂 I am planning on trying this way, after being completely frustrated with my accordian folder too. But your pictures and explanations helped tremendously!!!!!! Here’s a variation question – I’ve used a binder like yours for awhile, but I’ve found it to be big and bulky to carry in the store, especially with kids in tow. I’ve changed to a smaller binder (7″x9″) that fits in my purse, which fits Daytimer inserts perfectly, but I can’t find any baseball card / photo pages that work to organize the coupons well and I’ve resorted to just zip pouches for each coupon section, which doesn’t allow them to be browsed nearly as easily. Any ideas or any helpful tips for a small binder user??????????? Unless you could find smaller scrapbook pages with different sized inserts??? That’s my first thought! What about a business card holder? Would the pockets be too small? They’re designed to fit in day planners. I don’t have a website and don’t know how to create one. Can you help me get started? What do I do with my own website? I have a myspace account. Would that work? My first experience with coupons was with my friend who claimed to get $$ back. After a 5 hour shopping trip, she did save $ but she only bought what she had coupons for. Even items she did not like or had never used. I have not tried until I saw your idea on Rachel Ray. I like the challenge so I am going to see what happens this time. How long does it take you while shopping? Actual shopping trip takes an hour or less. I don’t dilly dally around in the store 😉 Planning and getting coupons in order…15-30 minutes, depending on the week. It used to take me longer to plan, but it gets easier and faster with time! 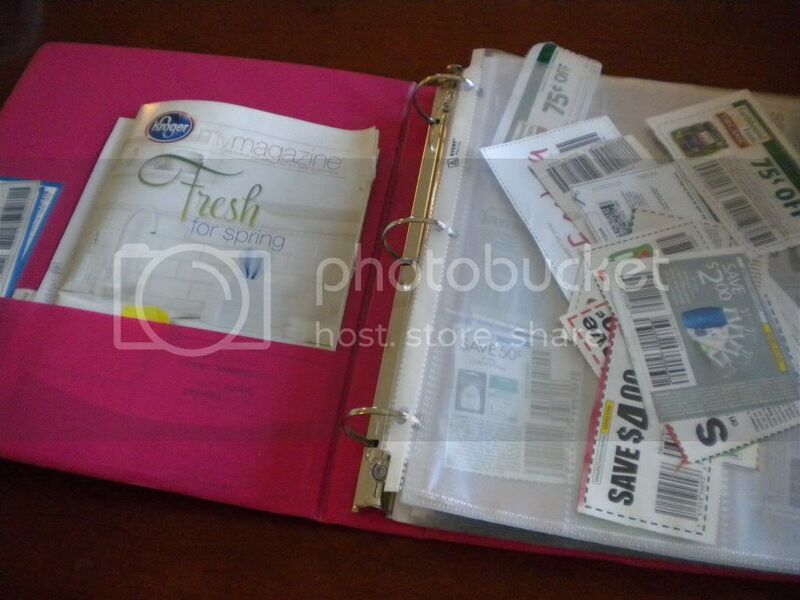 If putting a coupon binder together is intimidating, you can buy one already put together from http://www.TheCouponBinder.com. I just had to share with you that I was inspired by your coupon binder and had to make one of my own since I’ve outgrown my coupon organizer. Thank you for sharing this very helpful tip! 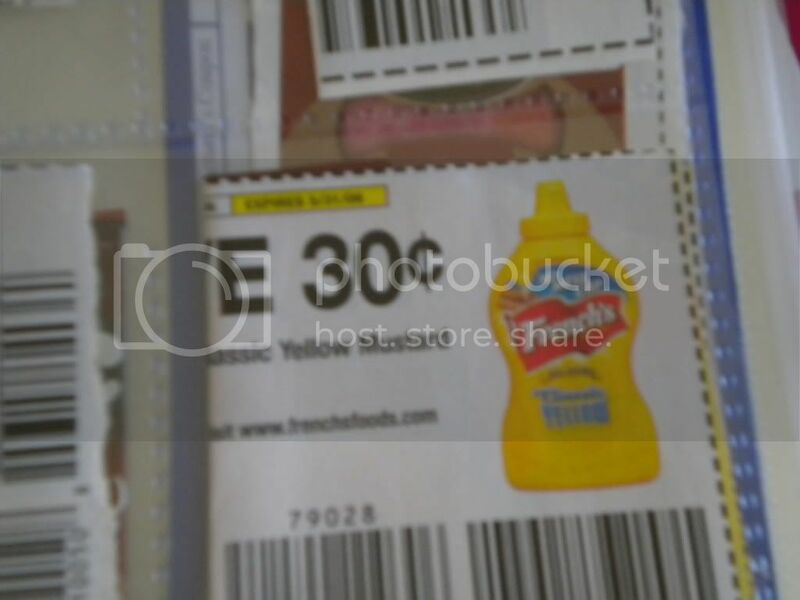 So thrilled to see others using the method I created to organize coupons back in 90’s and shared using the username of LWMSAVON on Mycoupons.com! I hope you enjoy the method and save oodles of money. I can’t seem to find baseball card holders in Wal-Mart and I don’t have any baseball shops close, any suggestions of where I could find them? I found a girl but it’s $12 + shipping & handling and that runs almost $20…. I’ve found them with the baseballs cards, which are usually right in between all the check out lines. At some stores, they might be to the side of the check out lines. Hope you find them!!! I could not find baseball card inserts at walmart, so I went searching through the internet and found that on Amazon they have 25 pocket pages for about $5, I have 50 of them now and I am just starting out with my couponing. I put index cards into each slot so that I can use the pocket pages double sided! =] My first meeting with my swap group will be soon, so I’d love some tips! My email I shared below so some of you could share your tips & suggestions! Thanks! using? I’m experiencing some minor security issues with my latest site and I would like to find something more secure. Do you have any solutions? my blog readers have complained about my website not working correctly in Explorer but looks great in Firefox.